50HD Double-Rip Stop. Endurance. Fabric – The Ultimate Strength to Weight Ratio of Any Material. 2 Single Oxygen Air-Frame Tubes – Easy to Erect Multiple Inflation Point Frame. Single Roof Support Tube – Single Veranda Bar in the Roof For Extra Stability. Dynamic Speed Valves – The Quickest, Most Reliable & Simplest Inflation Valve on the Market. Intelligent Frame Relief Valve Protection System – Our Exclusive Pressure Relief Valve to Prevent Over-Inflation, Expelling Any Excess Air Above 6PSI. Sewn-In Groundsheet – To Reduce Moisture Ingress & Add Convenience. Lifetime Guarantee – On the Tubes/Air-Frame. Tinted Windows – To Reduce Glare & Increase Privacy. Embossed Zip In Curtains – To Provide Further Privacy & Make It Feel More Like Home. Side Door Inflatable Eyebrow Canopy – For Added Protection Against the Elements. Phoenix Mesh. Doors – Self-Repairing ‘Smart’ Mesh, Self-Repairing Any ‘Snag’ Damage Caused Over Time. Two Rear-Cowl Access Doors – To Allow Entry to the Vehicle Without Traipsing Through the Whole Awning. Three Reflective Endurance Storm Straps – For Unequalled Stability During Poorer Weather Conditions. Available in 3 Cowl Heights – Lowline, Midline & Highline. Includes Electrical Hook-Up Point – To Power Electrical Appliances within the Tent. Includes Pegs, Guylines, Repair Kit, Carry Bag, Lumi-Link/Lumi-Lite Attachment Points & Dual-Action Hand Pump. Optional Co-Ordinating ‘Movelite Canopy’ Available for Purchase. 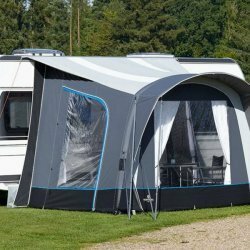 Outdoor Revolution’s best-selling compact ‘Movelite T2’ lightweight small family drive-away air-awning weekender is the most versatile and quick-inflating accompaniment to short-breaks; boasting a ‘Lowline’ model (for fitting lower vehicles e.g. VW Transporters), sizeable living space and a variety of optional extras, including a two person inner tent!